There was a man named "Martin Joe Laurello" who could revolve his head by 180 degrees. Martin Joe Laurello (born Martin Emmerling, circa 1886), also known by the stage names Human Owl and Bobby the Boy with the Revolving Head, was a German-American sideshow performer and biological rarity who could turn his head 180 degrees. He performed with groups such as Ripley's Believe it or Not, Ringling Brothers, and Barnum & Bailey. He also trained animals to do things such as acrobatics. Laurello was born Martin Emmerling in Germany circa 1886. In 1921, together with a handful of other freaks from Europe, Laurello arrived in the United States. Laurello could turn his head 180 degrees. In the words of fellow sideshow performer Percilla Berjano, known as the "Monkey Girl", "Laurello could put his head all the way around". To accomplish this feat, he reportedly practised rotating his head for three years and also had to "dislocate various vertebrae". 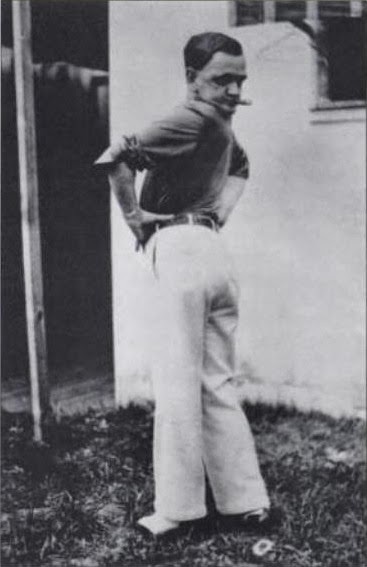 Being born with a slightly bent spine might have also aided Laurello in pulling off his act of flexibility. For a period of time, Laurello was billed at the Bailey Circus as "Bobby the Boy with the Revolving Head". Laurello also worked at the New York City-based Hubert's Museum, mostly during the winter, as well as Ringling Brothers and Coney Island. During his stint at the Ripley's Believe It or Not! Odditoriums in the 1930s, Laurello managed to attract massive crowds. When performing, Laurello preferred to don a white shirt. He also trained dogs and cats to do acrobatic tricks. He moved to America from Germany in 1921 and began performing with sideshows such as Ripley's Believe it or Not, Ringling Brothers, and Barnum & Bailey. Aside from turning his head around, Martin Laurello (formally Martin Emmerling) trained dogs to do acrobatics and was a ventriloquist. 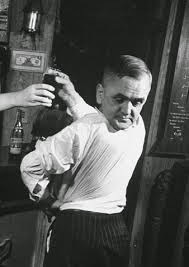 When Laurello would turn his head around, he could not breathe, however he was able to drink. Laurello was at Robert Ripley's first ever Odditorium at the 1933-34 Chicago World's Fair and had performed at many Ripley's odditoriums in the 1930s. His last recorded appearance was on the show "You Asked For It" on March 24, 1952. He died of a heart attack and was cremated in 1955, at age 70. The video below was taken from the movie "The Incredible Life and Times of Robert Ripley: Believe it or Not!." A person needs just three things to be truly happy in the world. The only desert in Canada is located in Osoyoos, British Columbia. Reading Challenge. Share this among your friends and see who can overcome this reading challenge. The vulture is awaiting for the little boy to be dead. You can't make the same mistake twice. 80% of women use silence to express pain. The word "verb" is a noun.